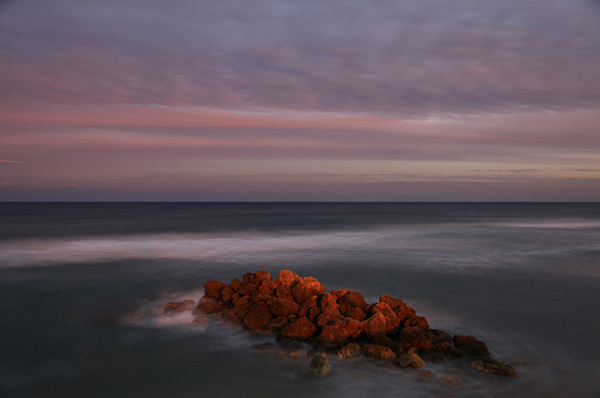 An outcropping of rocks is surrounded by water during a high tide at dusk. With few areas featuring natural rock formations to choose from on the South Florida coast, this beach in Deerfield is my go to spot to capture the interaction of land and sea. The rocks are utilized to minimize the natural beach erosion and are periodically replenished by the municipality as needed.